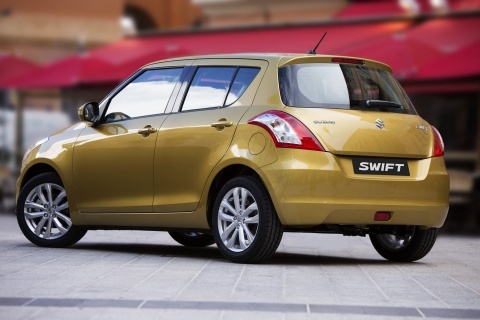 Maruti Suzuki Swift is readying itself for a facelift and the same should come in 2014. 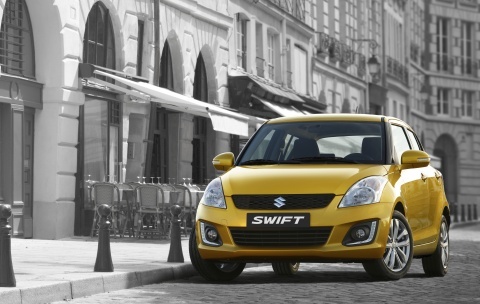 Accidently, Suzuki Belgium for some reason had put few images of the car on website and within this time - car freaks took the images and spread it across the net in no time. As you could see from the first image above - there are not much changes that Suzuki has done to the exterior - however the changes include LED Daytime running lights near the fog lamps, similar to what Hyundai too added during its i20 latest facelift in end 2012. The other change as you could see is the addition of Golden brown color which looks good. There aren't many updates available for interiors as of now, but expect minor changes to the interiors as well. Stay tuned while we bring out more information on this one. Rear as you could see, remains the same without much changes being made at the rear.